How do you create a flexible, multi-user site that still looks cohesive? NYU Game Center is dedicated to the exploration of games as a cultural form and game design as creative practice. The center excels at instructing in game design and inspiring its students to create the next generation of game design. How do you manage presenting and sharing the cutting-edge content of a large roster of students? With so many voices, how do you make these pieces of content look as if they are in conversation, not conflict? 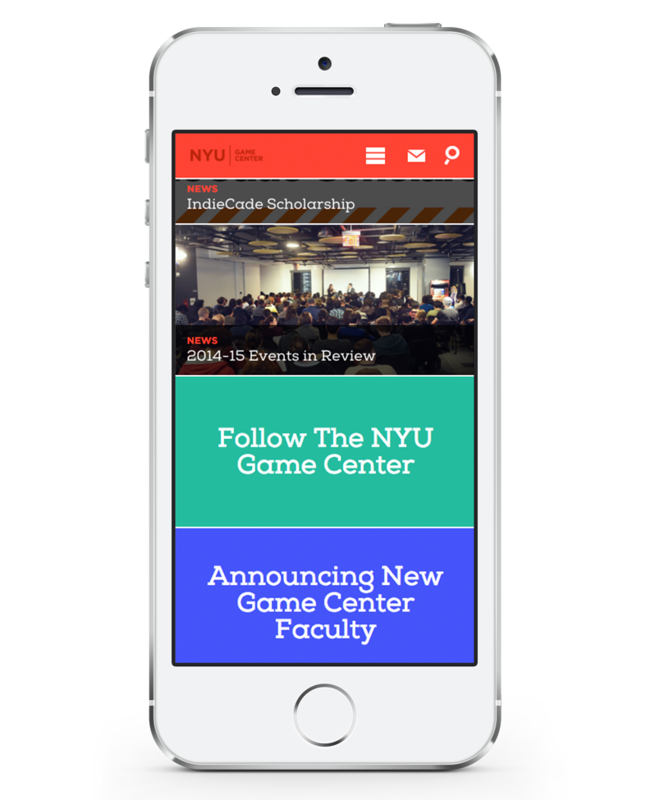 NYU Game Center needed a site that would showcase a large amount of content geared toward different and distinct audiences. 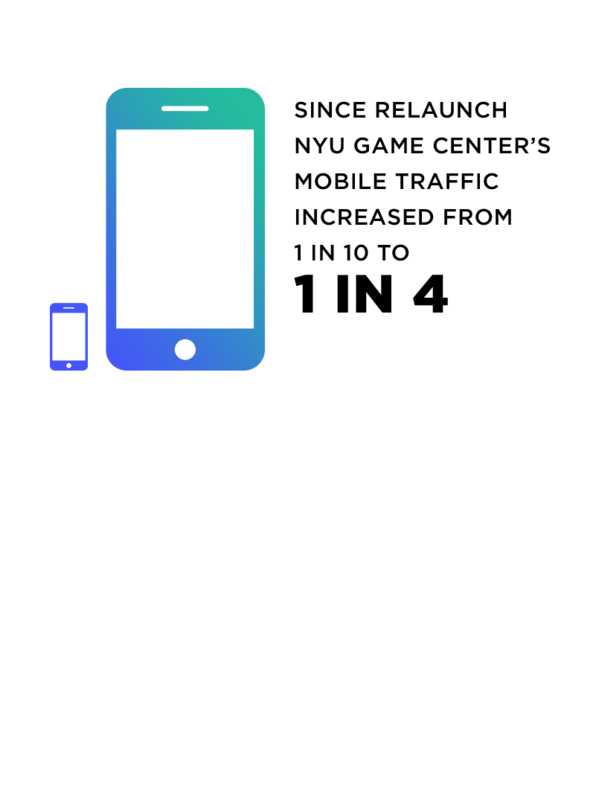 The site needed to include a way to actively engage members both by presenting content to them and also enable and encourage members to create and upload their own material. We developed a variety of solutions for NYU Game Center’s needs and expanded the ways in which members could engage with the site and, by extension, the university. We built a new, streamlined platform based on a re-evaluated information architecture. To fulfill member needs, we added specific functionality for students and faculty to create their own unique profile pages that could be updated with personal information, including projects and games. This content was then hosted and organized in a repository – the Arcade – which was searchable and accessible to all members. To further create an inclusive environment for members, we integrated the events calendar with Event Brite and Google calendar, allowing for easy scheduling and member notification.